At East Midlands Dog School we pride ourselves on our experience and passion for helping and training dogs, whilst taking an individual approach to each owner and their dog. The team have years of experience specialising in puppy training and behaviour, adult dogs, rescue dogs, working dogs and pet dogs! 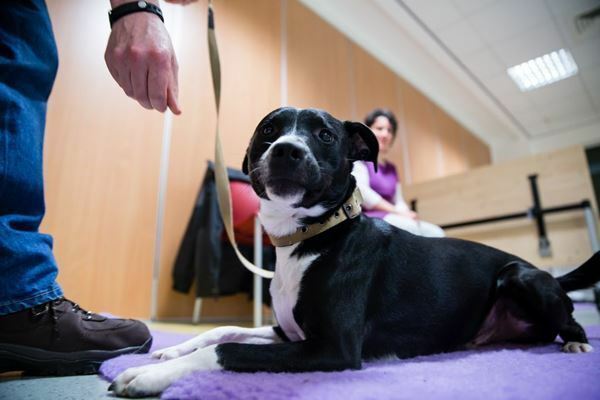 Training focuses very much on helping owners to develop a deeper bond with their dog and teaching the dog how to fit into and cope with everyday life, and the challenges they may face. Happy dogs, happy owners, happy families! Understanding and appreciating the behaviour of dogs underlies everything we do at Dogs Trust. As every dog lover knows, each dog is a unique individual, with their own quirks, delights and challenges! Behaviours develop through a combination of multiple elements including breed, individual personality, medical issues and prior experiences. So understanding why an individual dog develops a problem behaviour can be like a detective mystery - identifying all the different elements which tell his or her story. 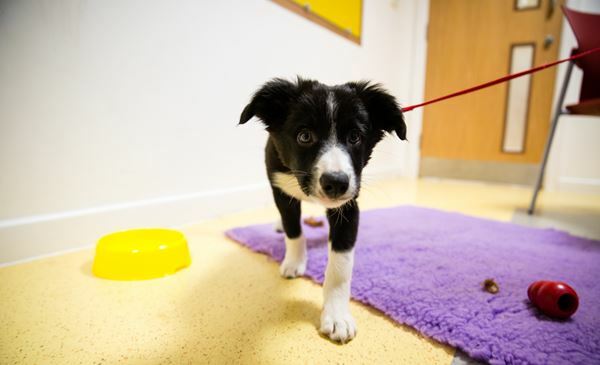 In our re-homing centres we are committed to caring for and rehabilitating dogs which have behaviour problems. 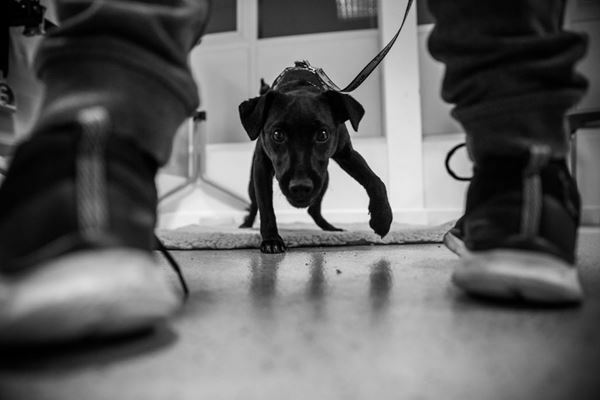 And in Dogs Trust Dog School our mission is to work with owners to prevent problems developing in the first place! Pet dogs don't need to be obedience champions, dance to music or speed round an agility course. Of course these activities can be great fun and something to aspire to, but most owners need their dog to sit when asked, walk calmly on a loose lead, come back when called on a walk, and settle down when they stop to natter to their neighbour or have a pint in the pub! And they want their dog to do these things even when there are tempting picnics around, kids running about playing football, or other dogs walking past. The training we do at Dogs Trust is based on teaching the basic behaviours that dogs and owners need day to day in domestic life. 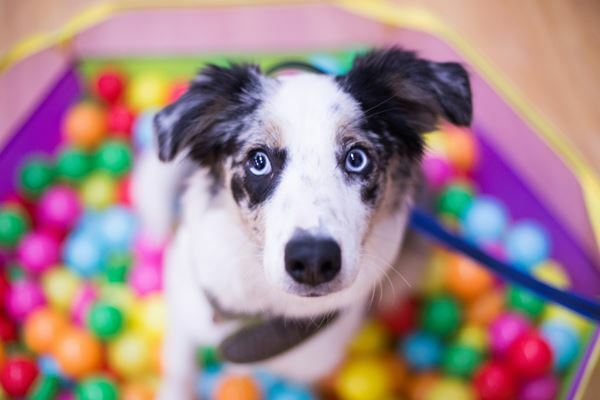 Whether we are working with dogs in our adoption centres and preparing them to go to their forever homes, or teaching owners in Dog School classes, we are focused on doing a thorough job of training the basics! The other important principle of training at Dogs Trust is that we use reward based methods to train all our dogs. Research has shown that using reward based methods are effective, and less likely to be associated with problem behaviours. This approach also means that dogs have better welfare, enjoy their training and form a better bond with owners or carers - so why would we do anything else? Jenny has worked in training and behaviour for many years, since graduating from The University of Lincoln. She went onto gain a PGCE and has worked as an animal care lecturer for 11 years, teaching mostly training and behaviour. She also ran her own dog training and behaviour consultation business, before joining Dog School, teaching group training classes, one to ones and fun agility sessions. She is a full member and assessor for the Association of Pet Dog Trainers (APDT) and owns a Bull Mastiff called Teddy, plus two Springer Spaniels, Betsy and Bailey. Hannah studied at Nottingham Trent University, graduating with a Masters in Animal Health & Welfare and with a special interest in dog training, behaviour and welfare. She is also a humane educator, specialising in teaching empathy and compassion between humans and animals. Hannah previously ran puppy and adult classes and worked on canine behaviour and welfare research projects. Colleen joined Dog School in 2017, having spent the previous five years working at the Dogs Trust Loughborough Rehoming Centre as a Trainer. 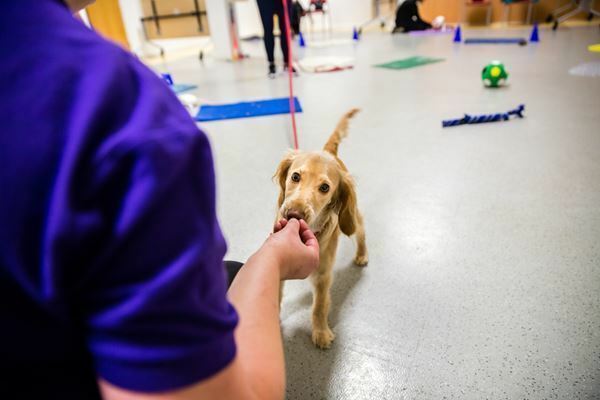 Whilst at the centre, one of Colleen’s main specialisms was muzzle training and she successfully developed and ran the centre’s muzzle programme – training both dogs and staff on the most positive ways to introduce muzzles to dogs. She has brought an excellent wealth of knowledge and experience to the team and particularly enjoys teaching the handling and recall elements of our classes. At home she has two Chihuahuas; Princess Twilight and Woogie Bear, whom she regularly refers to as “the kids”. She spends a lot of her spare time teaching them new tricks and they even have their own mini agility course in the garden! Sadie studied at Brooksby College and gained her Level 2 Diploma in Animal Management at distinction level. She worked for a RSPCA rehoming centre as an animal care assistant, before joining Dog School. She volunteers for Harvey’s Army, which helps reunite lost, found and stolen pets with their owners. Sadie has 3 dogs; Sheba, Milly and Poppy. Sheba is a 9 year old Labrador x Staffie x Boxer. She is a clever girl who loves learning new things. Sadie has had her since she was 8 weeks old. Sheba is a water baby; as Sadie says, "If you put her in a desert, she will lead you to water! ".